Jakarta DPRD Commission E has encouraged Jakarta Education Dept. to inject incentive funds for 5,000 PAUD teachers.
" We recommend the incentive funds for PAUD teachers in 2018"
Veri Yonnevil, Secretary of Jakarta DPRD's Commission E, disclosed the fund is required to be allocated to the PAUD teachers. All this time they only get Rp 1 million per year. It is obtained from the Special Allocation Funds (DAK) injected by Ministry of Education and Culture. "We recommend the incentive funds for PAUD teachers in 2018. We will sign a joint agreement in the forthcoming December," he expressed, at City Council building, Wednesday (10/11). 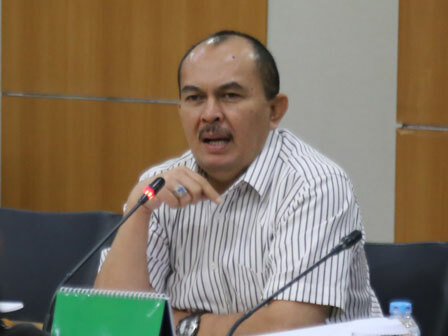 In the meantime, Fery Safrudin, Head of PAUD Section and Community Education acknowledged that he was ready to inject the fund in 2018 APBD. Nevertheless, he has been able to determine the nominal of the incentive funds. "Its allocation will go through the grant mechanism," he closed.